​Want to come to Costa Rica with Wild Ginger Community Herbal Cener ​but think you can't afford it? Dreamed of joining our Grassroots Herbal Apprenticeship Program in Maryland but just don't think its possible financially? 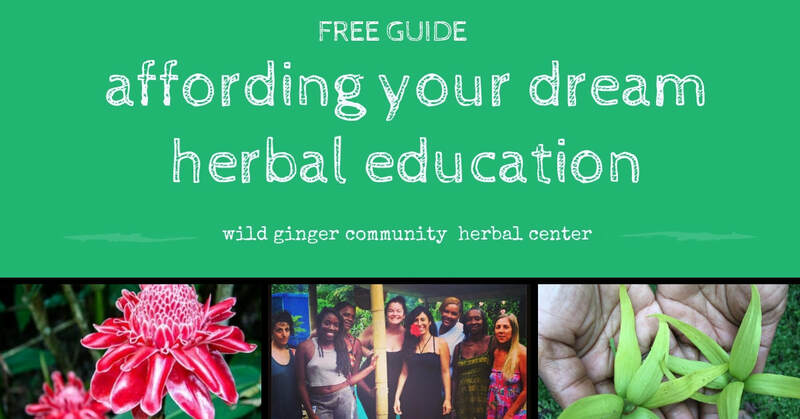 We've had dozens of students successfully implement these ideas in order to help them reach their goals of attending programs at Wild Ginger Community Herbal Education Center! 1) Invest in yourself, invest in your community! First of all you need to make up your mind that this is an incredible and enriching investment in your own personal life journey, and the best part about that is by you making this investment, you are in turn helping about the traditional farmers, healers, and herbalists that work with Wild Ginger Herbal Center. 2) SAVE YOUR MONEY - Okay, this one is not free, but its powerful! Did you know that if you saved just $3 every day for a year you would have the tuition for the majority of our programs in CR and in Maryland? Think about it, keep your eyes on the prize, and even small savings add up very fast! 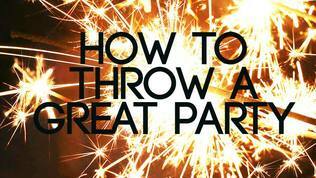 3) THROW A PARTY - throw and old fashioned rent party, have a cover charge which will go towards your trip, get friends to donate food/live music whatever you can think of to make it a fun and profitable night! Host a bake sale, an intimate dinner party, or a big old house party. Get your friends and family to help! 4) CROWDFUNDING - Crowdfunding is an amazing way to have your community donate to help support and fund your travel to Wild Ginger Herbal Center Costa Rica or to study herbs in Maryland. It would take just 32 - 45 people in your life to donate $35 each to afford your full tuition to our Costa Rica Programs, that is so doable! You can check out GoFundMe (click here) to create an online platform for donations, post pictures of yourself, even create a video, and spread the word to your friends an family, give them a call to let them know what you are doing, send emails out to let folks know, and of course spread the word regularly on your social media accounts on Facebook/Twitter/Pinterest/Instagram and more! And remember keep them updated as your fundraising is happening, as well as once you are on your trip! 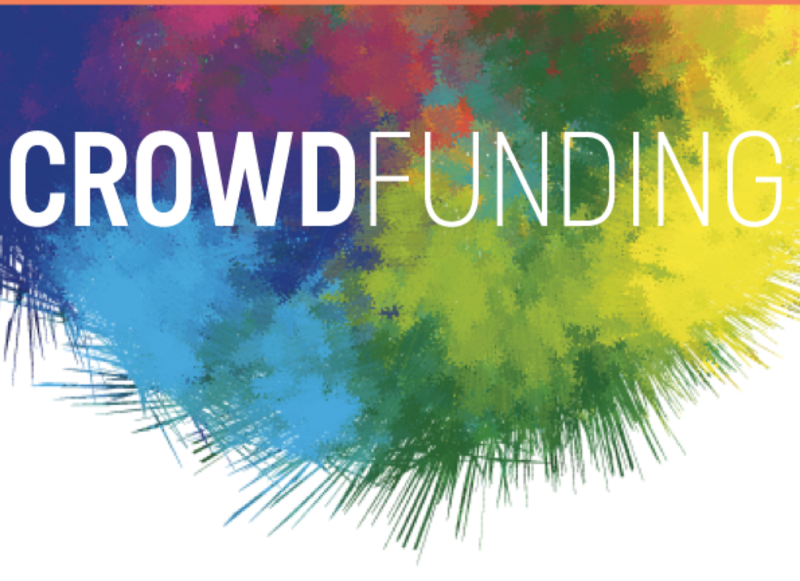 There are several other crowdfunding platforms, feel free to explore! 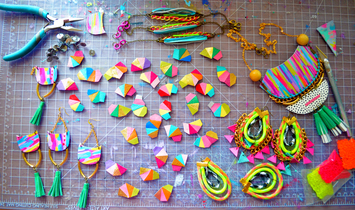 5) GET CRAFTY - Whip up a batch up herbal goodies to sell, sew/knit/make jewelry in return for donations, sell some incredible art/woodwork you create, even sell old belongings you don't need anymore. Musicians/comedians could even host a show to raise donations. Capitalize on the free networking/marketing opportunities using social media, and as you let people know they are helping you reach your dream - send them the link to the trip! 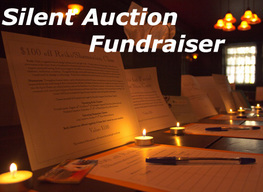 6) SILENT AUCTION - Organize a silent auction fundraiser for your trip. If you can get friends/loved ones to donate items of value then you could hold an event with a silent auction where folks come and bid in order to raise funds for your trip. 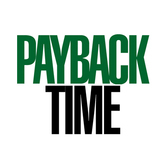 7) GET YOUR HUSTLE ON - Sell your goods and services, maybe as a flash sale or brief discount, to accrue funds quickly. Make sure folks know it is as a fundraiser for your trip! 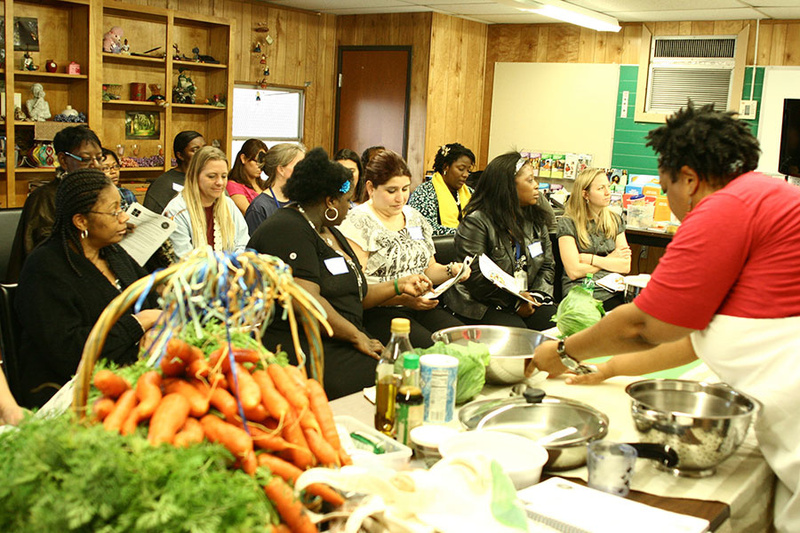 Host a three part cooking class, if you do tarot/astrology offer those services, get creative with your offerings! Sell your used clothing/furniture/goods you no longer need on craigslist. Take on a second temporary job, start tutoring, babysitting, rake leaves, shovel show, mow lawns, clean out gutters, get your hustle on to make it to Costa Rica this winter! 8) Collect any loans you are owed from family or friends to help fund your trip. OR you could consider asking someone close to you for a loan to fund your trip that you could pay off in a reasonable amount of time. 9) SHARE THE KNOWLEDGE - once you get back host a community event with your supporters to share with them a slideshow of your experiences, do a workshop or presentation to help bring back and share the knowledge you learned along the way, with all those who supported you! - Know that your community wants to help you out, so let them know your goals and dreams and surely they will support you in reaching them! - Ask your close family and friends first, then expand to your broader networks. The majority of funds you raise will most likely come from your immediate community, so make sure you make your case very personal, and explain why this is important to you and your community! - Share with your audience the link to the Centro Ashé trip you plan to attend - let them see why this trip is so unique and special and the communities that your attendance will help to support! - Let your audience know who you are, VIDEOS are the most affective and most clicked on for social media, so make a mini video of yourself telling your audience about yourself, your dream to Costa Rica, about the work of Wild Ginger Herbal Center and the mission of supporting local traditional healers and farmers. - Stay connected with your supporters, let them know how fundraising goes, always remember to thank them, AND send them trip updates while you are away or host a workshop/slideshow event when you come home to share what you learned with your community! Don't forget, thank everyone that helped you out along the way! Apply Today For One of Our Upcoming Programs in Maryland or Costa Rica! Just place your affordable deposit to hold your spot, then take your time to come up with your remaining tuition fees! Each year we are honored to connect incredible visionaries from the United States who join us during our cross-cultural programs at Centro Ashé Costa Rica, learning from and alongside local traditional herbalists, famers, and healers. It is always said that the people that are happiest on this earth are not those who are rich in material wealth, but rather those rich with experiences, so set your mind to it and make it happen! We get request upon request for scholarships/discounts on our programming. We do our absolute best to keep our pricing as low as possible (we are significantly more affordable than other programs of equal time/length). However it is central to our mission to honor and support all of our teachers, farmers, and herbalists we work with. One thing that many people don't realize about our trips, is they are a form of solidarity and support that we provide to the local community, directing dollars from tourism that often go towards ex-pat owned yoga studios/boutique hotels and rather we put those fund directly into the local Costa Rican community to those who most need it. So realize THAT is where your funds are going. Additionally, it also takes money for Centro Ashé to stay in operation. We have to keep up with payments, maintenance, utilities and upkeep on our centers in Costa Rica and Maryland. We receive no grant funding whatsoever, and thus we rely completely on tuition that comes from our programs in order to stay afloat. That said, we know making a trip such as this can be a huge financial committment, and we truly want everyone to be able to come! We have come up with these great ways to be able to afford your trip!